Consumers average 56 touchpoints before they buy. * Understand what marketing channels drive the most sales with the best e-commerce marketing tools for attribution. Ever wonder which combination of marketing activities leads to the biggest sales? We make it easy to see the most common paths to purchase and the time it takes to complete the journey. 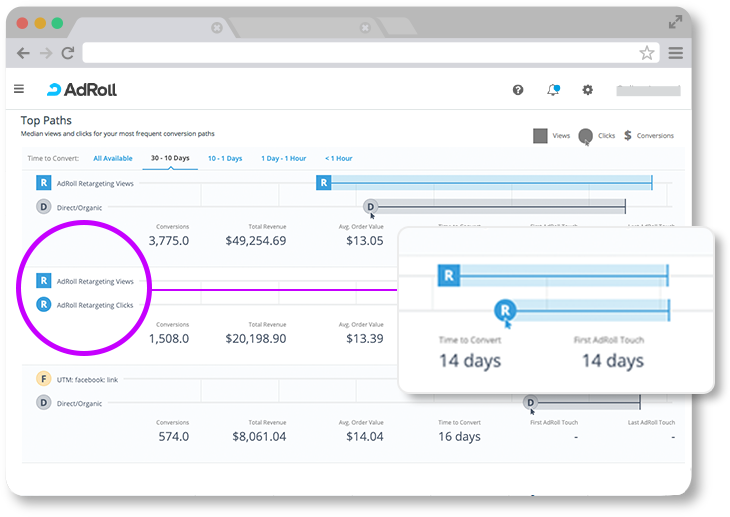 Having all your AdRoll campaign information at your fingertips—including ad views, top ads, and the best audiences—you can quickly adjust to increase sales with our ad management software. Last-click attribution isn’t for everyone. 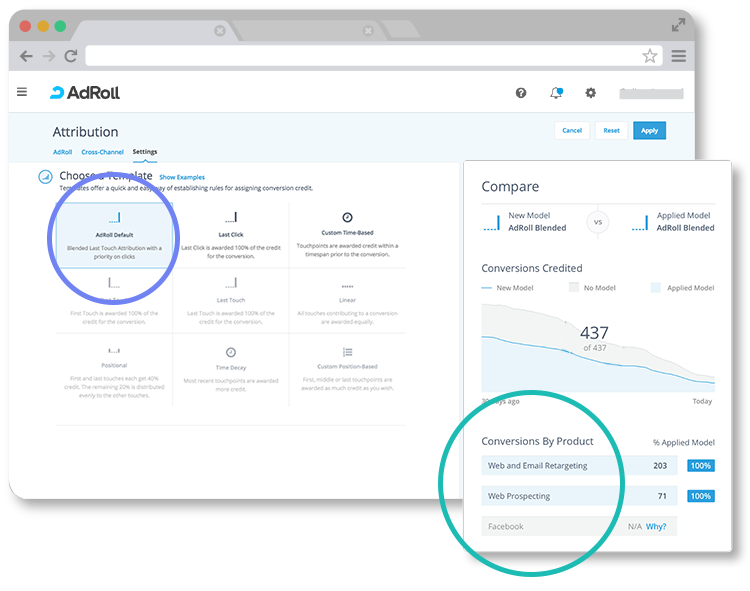 AdRoll makes it easy to explore other rule-based attribution models and pinpoint the hidden opportunities in your marketing. 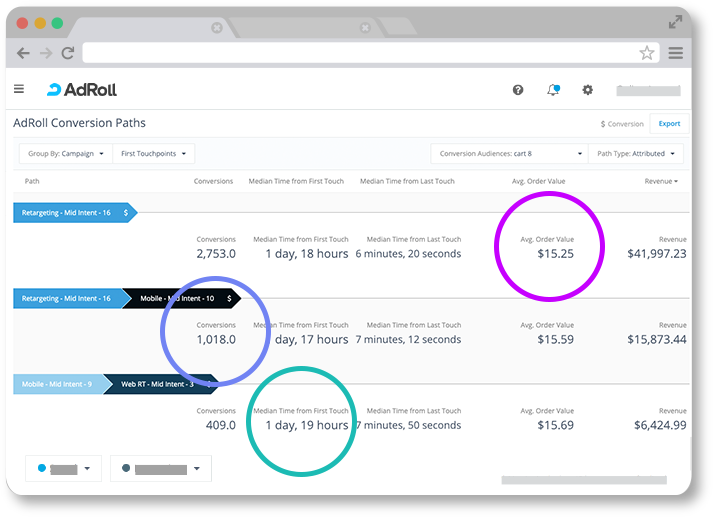 With AdRoll’s attribution dashboard, we’re getting a complete picture of what’s working in a way that my clients can understand. I recommend every e-commerce store get this level of visibility.